The Gloss Mountains stand in stark contrast to the open prairie of central Oklahoma. The unusual name comes from millions of sparkling selenite crystals that cover the surface of the bold flat top mesa’s. The Newton Ranch is located in the midst of these impressive Gypsum Hills“mountains”. Ride over hills covered in buffalo grass, along ledges that put you even with the tree tops, or challenge the deep canyons. We offer approximately eighteen hours of semi-rugged trails on our 2000+ acres. You can traverse one deep canyon and mesa after another, challenge the hills, or ride leisurely along the roads. 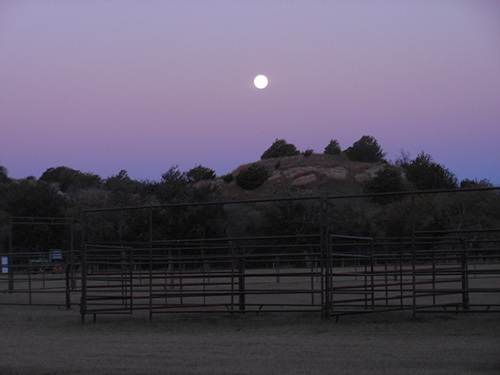 The equine camping area is ten acres of bermuda grass pasture enclosed with barbless wire. There are two main camping areas. The South area is located next to the arena. It is protected by the bluff, has cedar log seating and fire rings. The North area is in the trees and has a fire ring, grill and log seating. For group gatherings you can take a short walk or drive to the remains of our old rock barn. It has a fire ring, water and cedar log seating. You can also choose to enjoy Cedar Haven Lodge by taking a tour, having a meal or an overnight stay. You and/or non-riders who have accompanied you, can also hike, fish, watch wildlife, take photos and look at the stars. Riders under age 18 must be accompanied by parent/guardian or responsible adult. If parent or legal guardian is not present, the rider must have the Waiver of Liability and an Authorization for Medical Care signed by the parent or legal guardian. You are 30 – 35 minutes from anywhere – come prepared! There are rattlesnakes in this area. Outdoor toilets and showers are available. Clean up manure at trail head, corrals, parking areas. Scatter manure at stopping spots. Pick up left over hay and your trash. Manure spreader and trash receptacles provided. Dogs on the trail - unless prior arrangements are made. Kicking, whipping, beating your horse or anyone else!!! Fire – prohibited in windy and/or dry conditions. Drugs, Guns, Knives or weapons of any kind. Individuals and Small Groups: Availability is limited. Let us know just what you have in mind and we will create your very own package! There are three camping areas protected by trees and bluffs. Fire Rings and ample wood are provided. Six 50 amp electrical outlets are available. Outdoor bathing and toilet facilities. Let Gloss Mountain Outfitters be the base camp for your riding vacation. 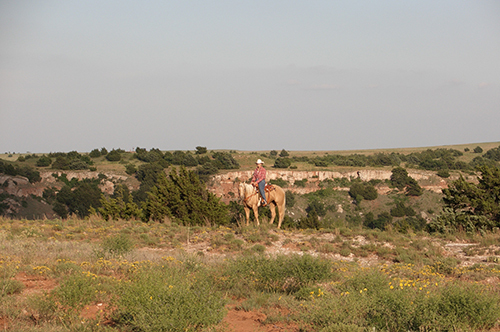 Ride our beautiful mesas and canyons for subsequent days or alternate with rides at the Great Salt Plains State Park Sibley Equestrian Trail, the Roman Nose State Park Riding Stables or the Gypsum Hills on the Gant-Larsen Ranch. Gloss Mountain Outfitters The Gloss Mountains stand in stark contrast to the open prairie of central Oklahoma. The unusual name comes from millions of sparkling selenite crystals that cover the surface of the bold flat top mesa’s. The Newton Ranch is located in the midst of these impressive Gypsum Hills“mountains”. Ride over hills covered in buffalo grass, along ledges that put you even with the tree tops, or challenge the deep canyons. Gant-Larsen Ranch The colorful gypsum hills located west of Medicine Lodge presents an almost perfect paintbrush region. The stark red bluffs and buttes capped with white gypsum ledges and deep, cedar tree lined canyons present an aura of color and beauty for year round riding pleasure. Riders enjoy the wide open spaces once roamed by the five Great Plains Indian Tribes. 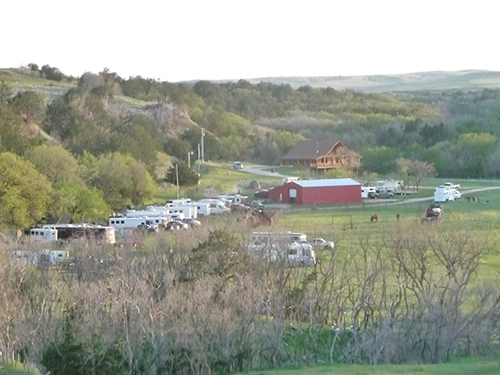 Roman Nose Riding Stables Known as the "cliff-side" stables is located on SH 8 and SH 8A. 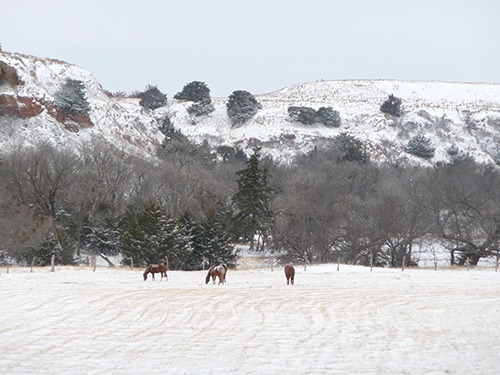 Roman Nose Riding stables was once a winter campground of the Cheyenne tribe. It is a scenic retreat set on Scenic Panoramaa canyon bluff that overlooks ancient mesas. 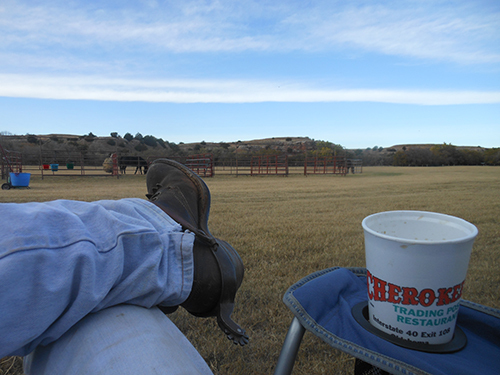 Towering cedar, buffalo grass and wild blue sage add to the beauty of this legendary setting. Great Salt Plains Sibley Equestrian Trail The Great Salt Plains State Park is the backdrop for these outstanding state park equestrian trails. 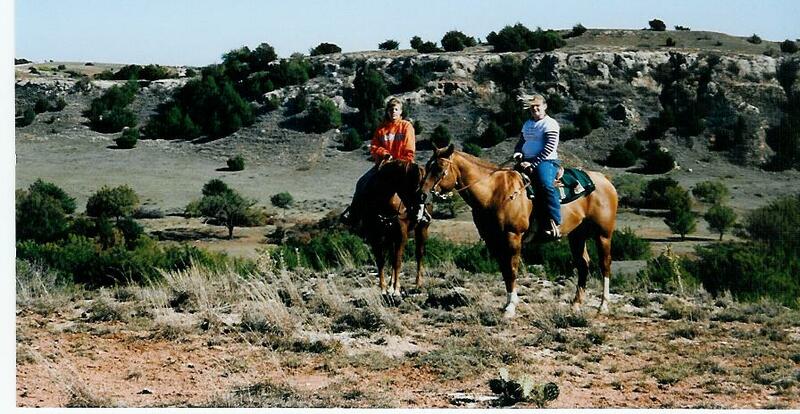 Expect to see and hear the wildlife as you ride horseback in the shade, up the sand hills and to the edge of the lake. The trails are wide, sandy and well maintained. Please be sure to download the Participation Agreement/Waiver of Liability (WOL) and read our Pre-Ride Checklist. 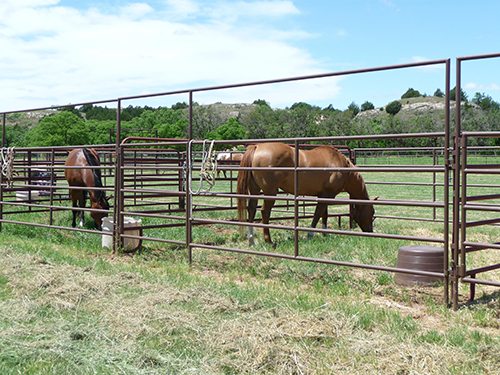 AN EQUINE ACTIVITY SPONSOR OR EQUINE PROFESSIONAL IS NOT LIABLE FOR ANY INJURY OF A PARTICIPANT IN EQUINE ACTIVITIES RESULTING FROM THE INHERENT RISKS OF EQUINE ACTIVITIES PURSUANT TO THE OKLAHOMA LIVESTOCK ACTIVITIES LIABILITY LIMITATION ACT.